Hiya guys! TGIF. We are finally closing out the week and doing it in true polish addict style. With a bunch of new releases! All our wallets are so dead, haha. Today I'm sharing swatches for the Neighborhoods of Nashville Collection by Smokey Mountain Lacquers, which consists of six spring time shades made up of shimmer and sparkle. If you'e a fan of glitter like I am then this is a collection not to be missed. Let's go ahead and get right into the swatches. The Neighborhoods of Nashville Collection by Smokey Mountain Lacquers will be releasing today Friday, March 24th. Each full-size 15mL bottle will retail between $8-$9 and mini-size 8mL bottle will retail for $6. The full-size collection retails for $48 and the mini-set retails for $33. 12 South can be described as an aqua cream with a strong flue flash. Starting off this review with one of my favorite shades in this collection! Please note, it's a very difficult color to capture and ends up being a tad darker in person. The formula has a sheer application that builds-up pretty well on the nail for full coverage. You can faintly see the ghost of my nail line in person and in the photos. And no worries on the staining, I didn't experience any to my nail bed or my cuticles on removal. Shown in three coats and sealed with a glossy topcoat. Downtown can be described as a glitter bomb packed with bright pink holo hex, teal hex, blue square, fuchsia hex pink holo hex, matte banana yellow hex, fire red holo hex and matte watermelon hex glitters. 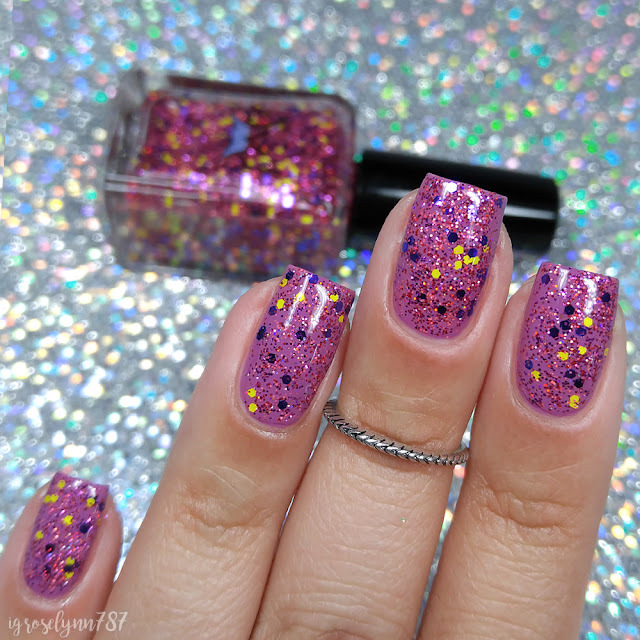 It feels like forever and a day since we've had a glitter bomb in any collection. I know they aren't as popular as some other finishes, but I really miss them! Maybe it's because they remind me of my Kesha days, haha. 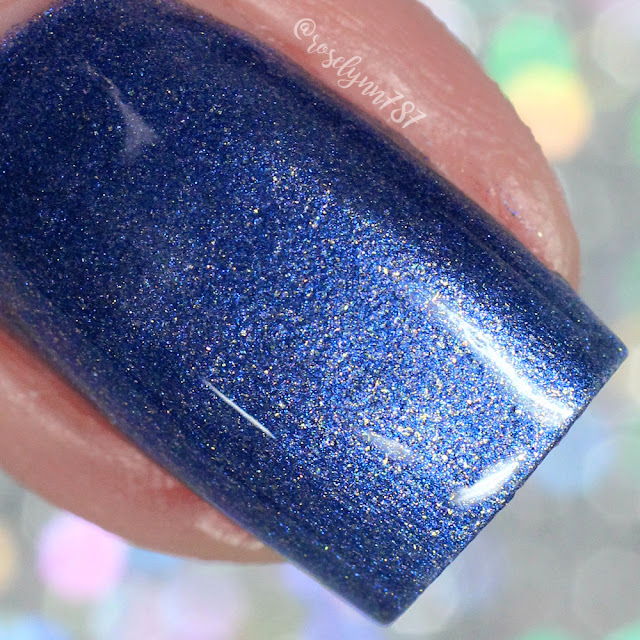 In either case, this shade is such a breath of freshness in this holo world. The formula has a really good consistency for the glitters with no need to fish for any of them. Each brush strokes has ample amounts of each one of the glitters. There is also no clumping on the nail, very smooth and easy application over a base. If worn on its own then it will need to be dabbed on with a sponge. With either preference it will dry textured due to the glitter overload so it'll need a good thick layer of topcoat to smooth down. Shown in one coat over a fuchsia base and sealed with a glossy topcoat. Germantown can be described as a brown crelly with red flash and gold flakies. Definitely the shade that surprised me the most out of this collection. It's very earthy and different for a spring collection, but that's what makes it so appealing. I also wasn't expecting it to compliment my skin-tone as much as it did. There was one thing for me though, I almost wish it didn't have the flakies... I know, shame on me for hating on the flakies haha. The formula has a sheer, but smooth application that layers well for full coverage. The flakies are on the scarce side during the application, but in my case I did prefer it this way. There are some minimal brush strokes in the finish, but most of them blend out after topcoat. Shown in two coats and sealed with a glossy topcoat. The Gulch can be described as a hot pink crelly with purple/pink/blue/gold UCC flakies and silver holo micro-flakies. And now ladies and gentleman, we have my absolute favorite shade in this collection! Everything about this shade is absolutely gorgeous and so much fun to wear! Definitely a must-have through spring and summer. The formula has a sheer jelly-like application, but it's very smooth on the layering. There is plenty of flakies per brush stroke with great distribution throughout. It dries to a minimal gritty finish that smooths out after topcoat. Shown in three coats and sealed with a glossy topcoat. West End can be described as a deep blue cream with orange/gold shimmer. Doesn't this just feel so regal?! I love the richness of the blue, but it's the subtle shimmer that takes this over the top for me. 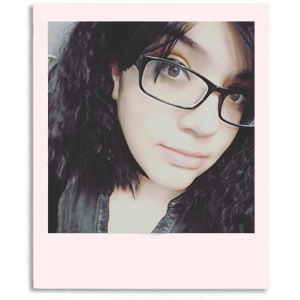 Super gorgeous and it complimented my skin-tone so nicely. The formula has really good opacity, but it's not enough to be a one coater. It has a very good consistency as well, not too thick or too thin. There are minimal brush strokes in the finish that mostly blend out after topcoat. Shown in two coats and sealed with a glossy topcoat. Green Hills can be described as a evergreen and gold holo micro glitter. I ended up opting to use this one as a glitter topper rather than trying to layer it for full coverage. Though I couldn't resist seeing how that would look so take a look at the macro for that variation. It just has so much sparkle my camera had a hard time focusing, it was freaking dazzled haha. Really my photos don't do the holo any justice. The formula has a great consistency, not too thin or too thick. It works very well no matter if you use it alone or as a topper. Plenty of glitters per brush stroke. If you're choosing to wear it alone then it must be dabbed on with a sponge in order to achieve full coverage. It dries very textured when layered alone and will need a thick layer of topcoat to smooth out. Otherwise it just has a minimal gritty finish if used as a topper. Shown in three dabbed-on coats in the macro and sealed with a glossy topcoat. Overall I love the diversity of this collection - both in terms of shades and finishes. I feel like there is a color for every spring outfit in my closet here! Although all the polishes are super pretty, there is one that stood out immensely and that is The Gulch. The combination of the bright pink and the flakies is just gorgeous and a mega must-have. And that's coming from someone whose not normally a fan of pink! But tell me guys, which one did you fall in love with? Let me know down in the comments. To recap, the Neighborhoods of Nashville Collection by Smokey Mountain Lacquers will be releasing today Friday, March 24th. Each full-size 15mL bottle will retail between $8-$9 and mini-size 8mL bottle will retail for $6. The full-size collection retails for $48 and the mini-set retails for $33.